Advance Reading Copy of Rethana’s Surrender! As you might already know, my newest novel is coming out within the next two weeks! This one is epic fantasy: another world, magic, intrigue, danger, swords, and fantastical creatures. I’ve been writing stories in this universe for twenty years, and this particular novel has been in the works since 2003. But in spite of my possessiveness, I am excited to let you read it. Early. As in, before it’s published. That’s right, dear inklings! I have Advance Reading Copies available! I only have digital copies available, but they should be readable on whatever you’re using to read this blog post. On Thursday, I’ll send review copies to the first hundred people who comment below. All I’d ask in return is that you write me a review at the digital vendor(s) of your choice. Blog posts are welcome too, of course. Aaron is going to send his horde of fantasy readers over here to get their ARCs from me, so get your bid in early! 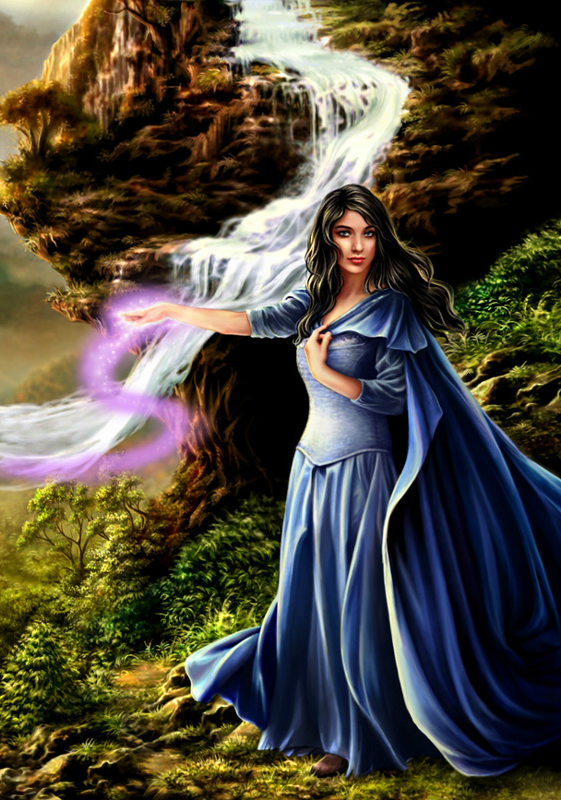 Legends of the Light-Walkers: Rethana’s Surrender is the story of 20-year-old Rethana Chosardal who can use fun and visually cool magic, but she’s not supposed to use it. For one thing, it freaks the natives out. For another, her family has spent the last ten years in hiding from the ruling class of magic-wielding clerics. When the magic-wielding clerics show up and take Rethana and her sister captive, this is not a good thing. Also, Aaron recommends that I tell you: In grand The Princess Bride tradition, *this is a kissing book*. Finally, a shout-out to Adele Lorienne for the lovely cover art that completely blows my mind every time I look at it. Adele, thank you for your stunning work! UPDATE: The ARC request deadline has passed. But if you want to get your hands on a copy of Rethana’s Surrender, it is now available for purchase at Amazon and Barnes & Noble! If you’ve read the novel, you can also post your reviews at those two links as well as at Goodreads. This entry was posted in Writing and tagged Aaron Pogue, Adele Lorienne, Advance Reading Copy, ARC, beta readers, epic fantasy, high fantasy, is this a kissing book, Legends of the Light-Walkers, magic, Rethana's Surrender, The Princess Bride. I want one!! I’ve been excited to read this ever since I first heard little clues that you were creating it! Me, please! Me, Please! me, Please!!! Oh, me! I would love one. I am intrigued. I would not turn down the opportunity to obtain an ARC of you new novel. Hi, Courtney! If I’m not too late, may I please get an ARC of your novel? I love the look of the cover. Thanks. Saw the update. I look forward to your email! Thanks. I would love a copy of this. If it’s from an author that inspired Aaron, it HAS to be good! Apparantly I got an email AFTER reading this, so please disreguard my request. I got put on the list through Aaron’s offer. 😀 (don’t want to take it from someone else if im already able to get a copy) can’t wait to read it!! 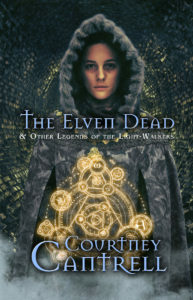 I can hardly wait to read it, Courtney! Thanks for the opportunity. I want one! I like your other stuff and I can’t wait to read it! I would love a copy. Thanks. I would would love to check out your work. Aaron Pogue sent me here, so it’s got to be good. “Me too. Please!” Per Aaron’s suggestion I too would love to read your book. Thank you for the opportunity. Based on Aaron’s glowing recommendation, I very much look forward to reading your new book! I thought I made it in time but I guess not off by a couple minutes. I want one too… Am I still on time? Looks promising! Hi, I havn’t read any of your work before but I have heard good things and am looking forward to the book when its available. are you doing 100 copies or just till midnight the 20th? Better late than never, please include me in the ARC. Thanks! I’d love a copy if you have more of them left. Thank you. I would love a copy please. I’m dying for what is sure to be a great read. Thanks and best of luck with your book. Whew. Just finished the 3rd Demons of Saltmarch on my Kindle and followed a link at the end to here. So excited that you decided to extend the ARC offer! Yes PLEASE! Hello. It just turned to June the 25th in Pakistan, but sadly I just read about the advance reading copies. I know that it might be a little too late, but can I also get a copy? I would really appreciate the gesture.